The previous post about Xubuntu 16.04 that I published just a week ago had a great success. That's why I continue the series of these posts. As I have mentioned, Xubuntu 16.04 is a part of Ubuntu 16.04 family that was released by Canonical on the 21st of April 2016. You can get any of these operating systems on the DVD through the order on BuyLinuxCDs.co.uk site. I decided to try Xubuntu 16.04 in a Live run myself. The 64-bit ISO image of this Linux operating system is about 1.2 Gb in size. 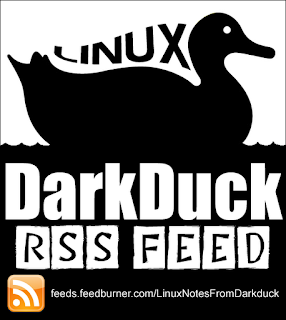 You can download it either via torrent or from one of many mirrors that Canonical supports. I used the torrent way. I "burnt" the ISO image to the USB stick using the built-in Ubuntu tool. The USB stick is plugged into the port of my Toshiba laptop. Reboot. Choose to boot from USB. Let's go! The boot process itself is rather simple and trouble-free. The only thing you need to decide during the boot sequence is whether you want to Install or Try the operating system. Of course, my choice was for the Live run (Try). The boot process was neither very long nor very short. The system took its time to load. Once loaded, you get a welcome screen with wallpaper in blue tones. There are some icons on the desktop that represent existing partitions of the hard drive, installation tool, recycling bin and the Home directory link. The panel is at the top of the screen. 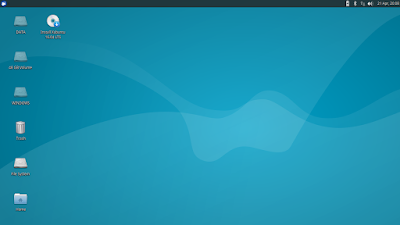 It has a small menu button with an Xfce logo in the left corner and a set of notification area icons in the right corner. These are the battery, wireless and volume control icons along with clocks. There are no quick launch shortcuts on the panel, and there is no "Show Desktop" icon out of the box. You can add more elements to the panel, including this "Show Desktop" button by right-clicking on the panel and selecting the menu option "Add New Items..."
Xubuntu 16.04 does not have a dock or any other panel at the bottom of the screen, which is nice for me. I don't like docks. Instead, I moved the panel to the bottom of the screen. It is easy to do: select "Panel Preferences" option in the right-click menu and untick the "Lock Panel" checkbox. Then you can move the panel by its left corner to any place on the desktop; you can even leave it in the middle of the screen if you fancy. 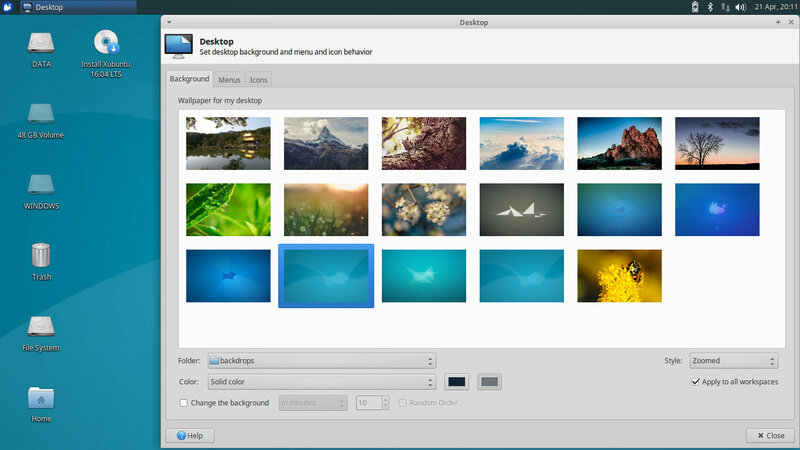 If you are not satisfied with the default desktop image, you can change it to any of the supplied images. There are about 20 of them. Of course, you can also use a picture of your own. 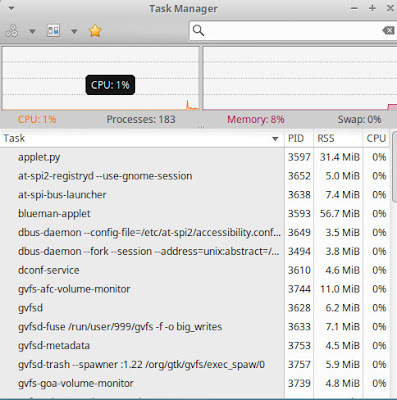 I have no straight answer to the question of system memory usage. The System monitor showed me 8% of memory usage right after the boot. That is about 320 Mb of 4 Gb I have in my laptop. 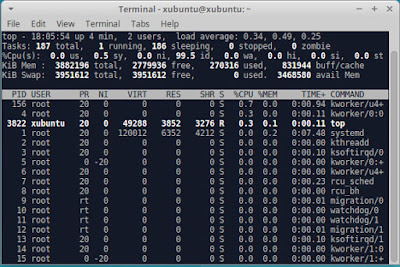 At the same time, the top command only showed me 270 Mb of used memory. You can decide yourself which result you prefer more. I had no issues with connecting Xubuntu 16.04 in Live mode to my home wireless network. The wireless card Realtek 8191SE was recognised and configured without any issues. I only had to select the network from the list and type in the password. The default file manager in Xubuntu 16.04, Thunar 1.6.10, has the built-in function for network browsing. I used it to find the network shared drive and to connect it to my system. Alternatively, there is a Gigolo tool that allows you to mount network drives. Xubuntu 16.04 comes with English US keyboard layout by default. If you need to replace it or add another one, please follow the link to get the instructions for changing the keyboard layouts in Xfce. Xubuntu 16.04 does not come with many applications. In most cases you only get the basic tools, while more powerful software is available through the vast Ubuntu repositories. Firefox 45.0.2 is the default and the only browser. Other Internet tools include Thunderbird email client, Transmission torrent client and Pidgin messenger. LibreOffice 5.1 represents the productivity tools in Xubuntu 16.04. It includes the Math application, but there are no Base, Draw and Impress components. There are 2 simple games available in Xubuntu 16.04 out of the box: Sudoku and Mines. Graphical tools only include Simple Scan, Ristretto image viewer and Document viewer. 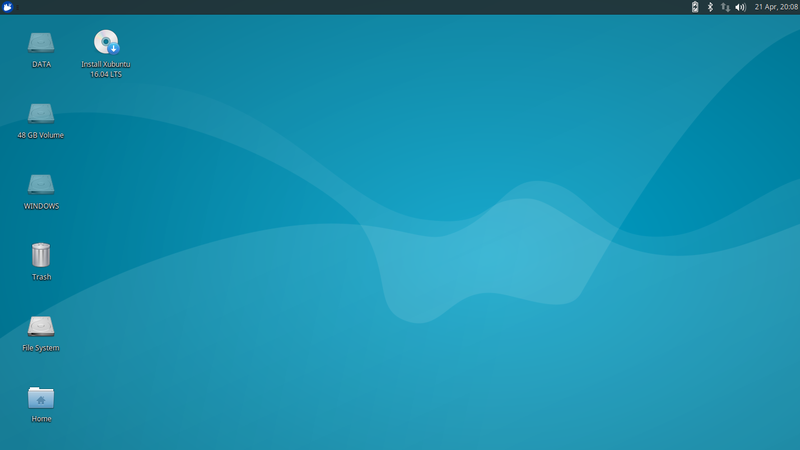 Xubuntu 16.04 comes with multimedia tools like Xfburn burning utility, Parole media player and Pulse Audio controls. Of course, there are standard tools like simple document editor Mousepad, calculator, terminal and archive manager in Xubuntu 16.04. Parole multimedia player in Xubuntu 16.04 is equipped with necessary codecs - you can start playing MP3 files even in the Live session without any additional installation. 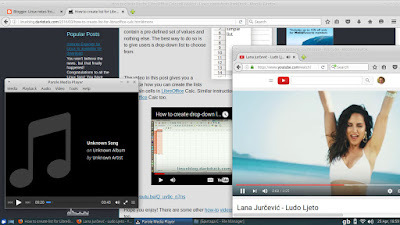 Firefox was also able to play videos from Youtube both in embedded and dedicated-page modes. But there were issues with playing videos from other sites that require Flash player. That component isn't installed in the system by default. Xubuntu 16.04 felt very polished, snappy and easy for me. There were no issues or bugs that I noticed while running it in a Live mode. The only downside that I would like to mention is the set of applications. It is minimalistic, if not barebones. Many useful tools should be installed by the user from the repositories. Of course, it's not a problem if you know the applications you need. Otherwise, you need to search first. That makes me think that Xubuntu 16.04 is not oriented to the Linux beginners. It is not the usual section of my reviews. You probably know that I currently run Ubuntu 14.04 as my main operating system. It has been about 2 years since I installed it. Unfortunately, these 2 years didn't make me love the Dash concept. I still prefer to navigate through the menu with a mouse rather than typing the application name on the keyboard. That's why I was waiting for April 2016 as a time when I could replace Ubuntu 14.04 with something new. And this "something" is Xubuntu 16.04. I published my thoughts about the installation process and first impressions as the main operating system. I love a bare bones OS. I hate spending time removing software I have no desire to have on my installation, cleaning up, and then installing the software I want. Much easier just to install the software I desire.I won't even consider some OS's that run to 3,4 and 5 Gigs for an install. Please keep them under 1 gig. There should always be a balance. I dislike both barebones and overloaded distros. But each of them has their own market. For example, "large" distros are good for people with limited/no Internet access. They can download all the software they need at once, maybe at some one-off location, than to get each package individually "on request". Interestingly I had a use case recently that was perfect for a balanced distro. At work we needed an extra laptop for a new employee to use for some data entry, but the machine wasnt setup on our network yet so it would have to be used offline. I installed Xubuntu on it they were able to fire up libreoffice and spend the next few days typing before the machine was ready to be setup. We just copied the data to a USB and transferred it. If it was barebones, we couldn't connect to the repositories to get anything else. I've preferred Xubuntu to most of the popular distros for more than 7 years now. Xubuntu has always been one of my favorites, and was surprised that you don't see it as suitable for beginners. To me the xfce desktop is way more intuitive than Ubuntu with unity. 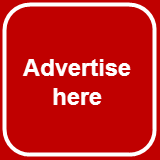 (often recommended for beginners) As for the minimal pre-installed applications, I'd suggest that someone unwilling to do a little homework to choose and install apps probably isn't up for the switch to Linux. Just my 2 cents! I like Xfce too. I ran Xubuntu in the past, I am running it now on this laptop. Just in my opinion the recent release is a bit too rough for the beginners. In my opinion, previous releases were better suited for them.